A few steps away from the glittering Camotes Sea on North Eastern Cebu is a gem of a property, hidden in plain sight in the coastal village of Luyang, Carmen Cebu. 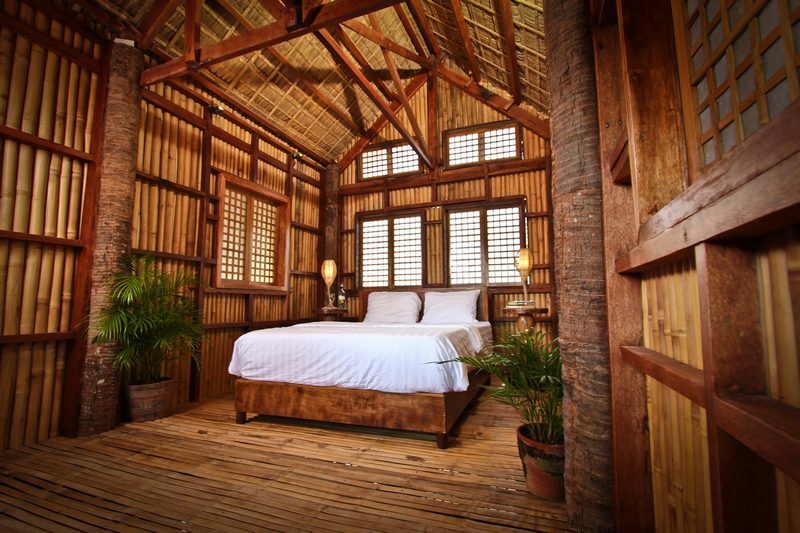 The Bahay Kubo is an ode to the traditional nipa hut found in rural Philippines. 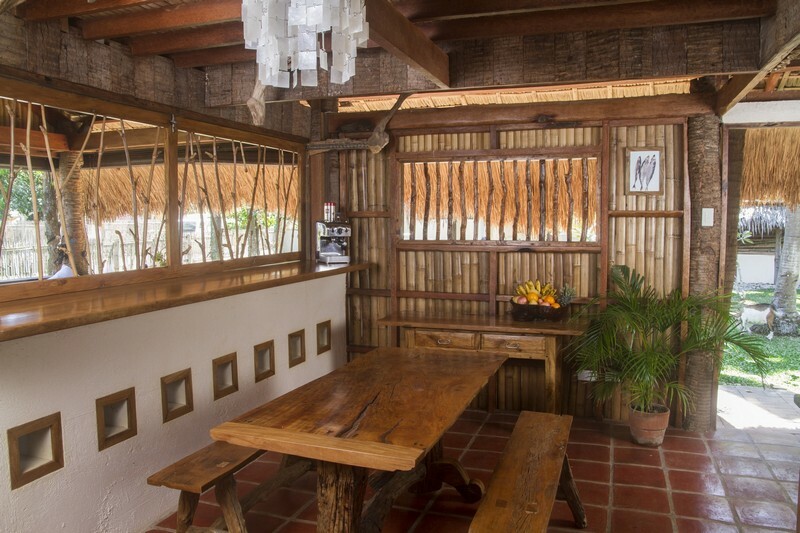 It was created by master craftsmen with an innate knowledge of local building materials and techniques, as well as a true respect for nature. 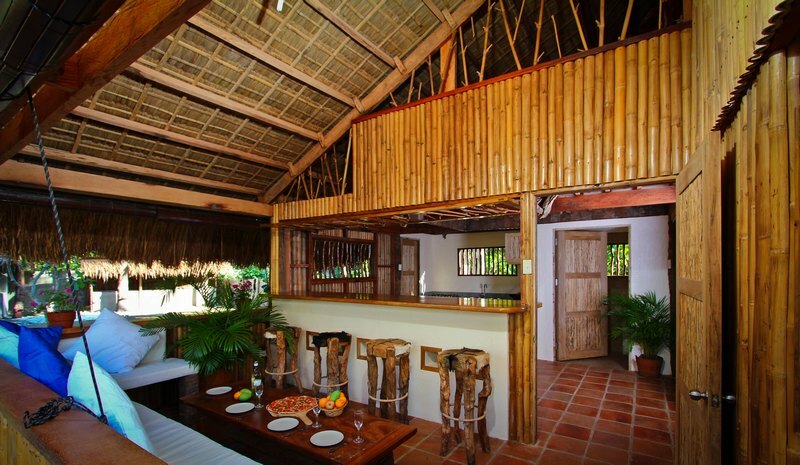 As a result, the three-bedroom space feels open, and airy, and private all at the same time, thanks to its high-pitched, cogon grass thatched roof and woven bamboo walls. The organic interiors cast a warm glow in the natural light, while capiz-shell windows open up to let the breeze in from the sea. 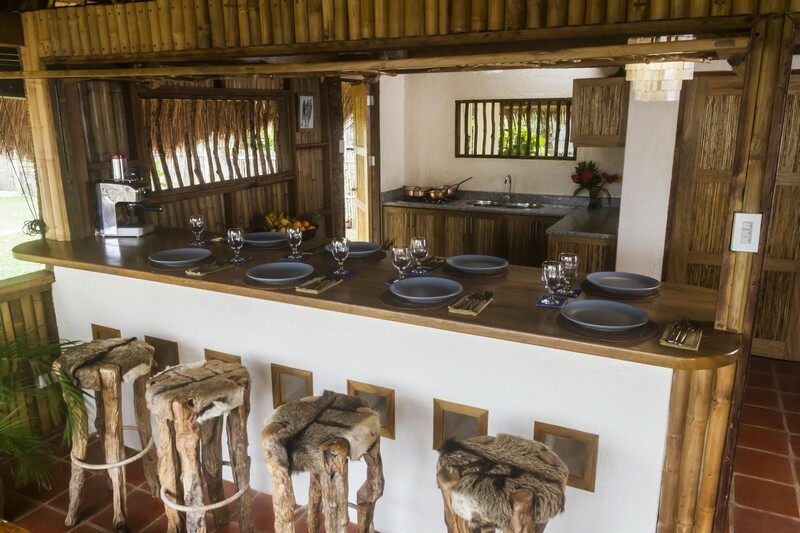 Hand-picked and hand-crafted furniture are built to spec, such as the strategically placed hardwood bar/dining table—a perfect perch from which one can while away a quiet holiday with a drink on hand. 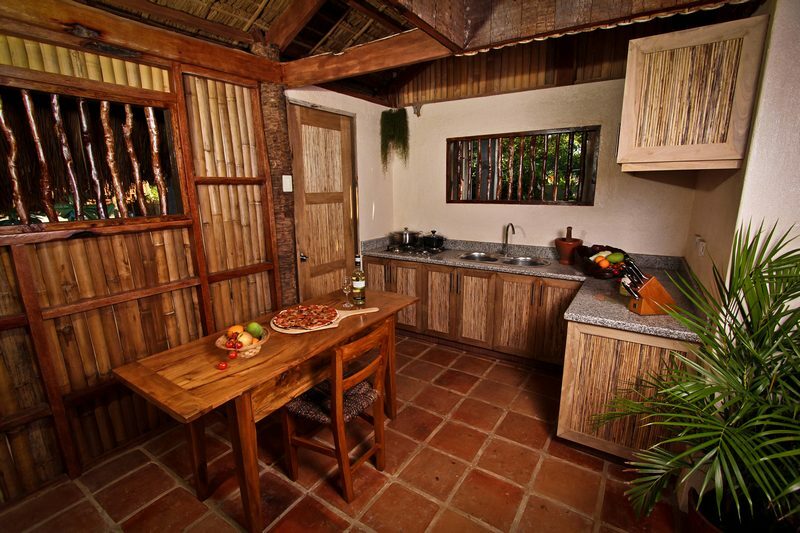 Upstairs is a full-sized bedroom with windows on every side, allowing the sea breeze to lull you to sleep. 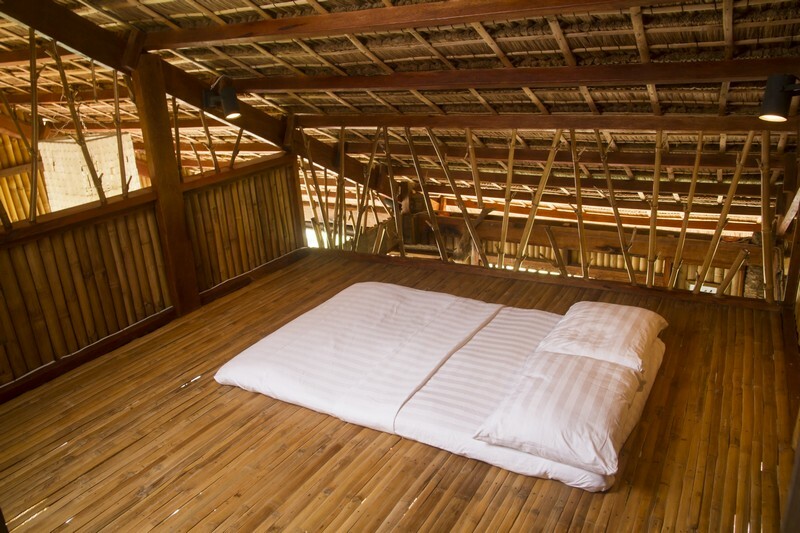 It extends into a loft-style area with a queen-sized futon and serves as bedroom number two for younger children, or simply an additional breezy lounging space, bamboo floor and all. But don’t be fooled. This traditional-style Filipino home was created in Western proportions and updated with contemporary amenities, including solar power for all the appliances. The entertainment nook is under the stairs, kitted out with a 40-inch flat screen tv, audio system , as well as a daybed, in case all you really want to do is lounge and laze. This same daybed folds out into a bed much bigger than king-sized bed. With the addition of an optional suspended cotton mosquito net, this entertainment nook conveniently becomes the third bedroom at night. Next to it is a fully equipped kitchen in which to whip up weekend breakfasts or afternoon delights, Should your self-catering enthusiasm fail, walkie-talkies are available to call for the 5-full time staff and a chef to rescue you with freshly caught seafood, free-range meat, local produce, and vegetables grown on the property’s kitchen garden. Should you decide to meander beyond the bamboo fence, the neighborhood provides an insight into local life, while the town’s many natural gifts such as cold and hot springs, caves, and waterfalls are yours to explore. Biking, hiking, snorkeling, diving, sailing on a 50-foot catamaran and even day trips to Camotes Island are all possible. 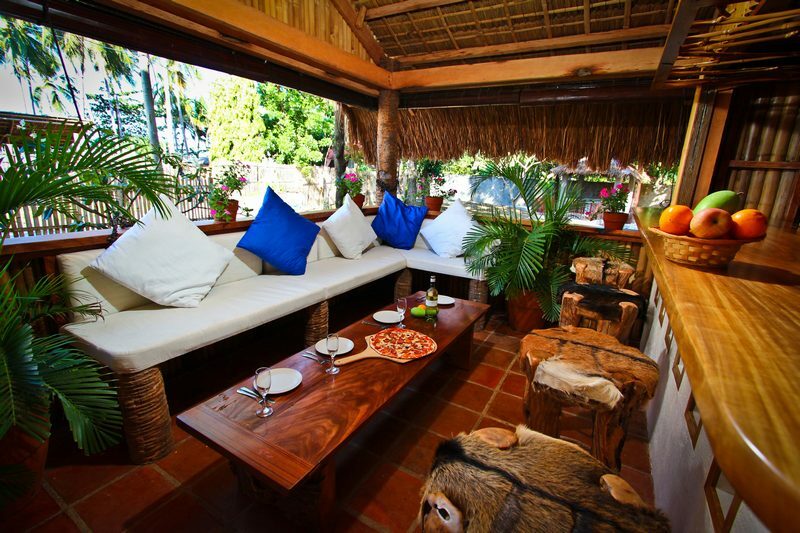 The Bahay Kubo is available as independent rental, and ideal as a guest/children’s/teens’ annex when renting The Beach House and/or The Beach Villa.